A screenshot from Bob-omb, featuring stills of GIF art by James Kerr (Scorpion Dagger) and Dave Whyte. This month Re+Public is excited to release an all-GIF art update to the NO AD app, in collaboration with RJ Rushmore of Vandalog. NO AD is a free mobile app that uses Augmented Reality technology to resurface New York subway advertisements with art, creating an alternative digital exhibition space. Viewers can discover works of art throughout the city’s subway system. The more stations you visit, the more art you experience. With this update, every piece in the exhibition will be animated, and NO AD will be highlighting GIF art for the first time. This week, the NO AD app updates to feature Bob-omb, an exhibition of animated GIFs curated by RJ Rushmore. Bob-omb includes 39 of GIFs by 13 individuals and collectives, weaponizing GIF art as a tool for reimaging public space. The artists range from filmmakers to illustrators to journalists, and the variety and depth of their artwork should surprise any viewers who may think that GIFs are primarily for memes and Buzzfeed articles. With this exhibition, NO AD users will be able to take static subway advertisements and transform them into dynamic artworks on their smartphones. Artists featured in Bob-omb include by The Barkers, Caitlin Burns, Dave Whyte, Hrag Vartanian, James Kerr – Scorpion Dagger, Jeremyville, Maori Sakai, Molly Soda, Paolo Čerić aka Patakk, Ryan Seslow, The Current Sea, YoMeryl, and Zack Dougherty. 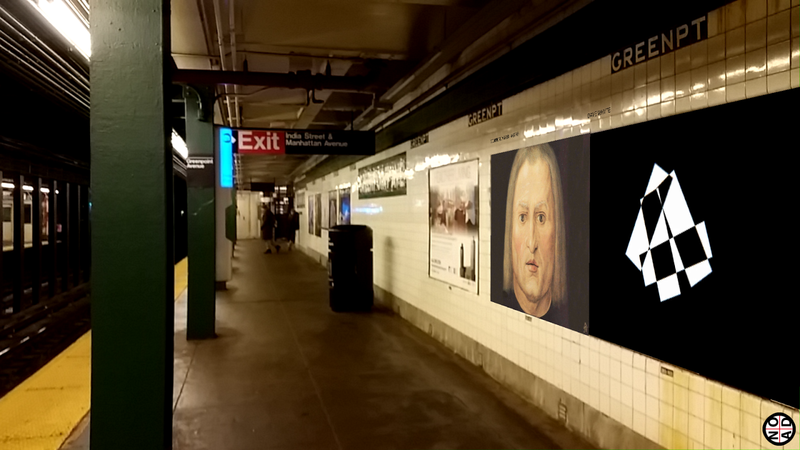 Bob-omb continues NO AD’s history of collaborating with curators to bring new and surprising art to public spaces through Augmented Reality technology. Previous exhibitions in NO AD have included collaborations with the International Center of Photography and Subway Art Blog amongst others. Future updates to the app will highlight additional collaborations with institutions and curators across disciplines. NO AD’s mission is to create an alternative exhibition space for New Yorkers, bringing them closer to the rich cultural content the city has to offer.